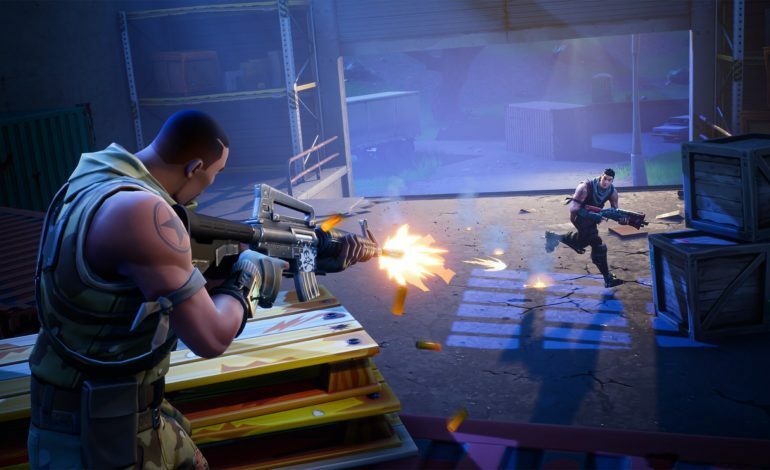 Big team battle fans rejoice: Fortnite Battle Royale has brought their 50v50 mode back this weekend. 50v50 mode, for those who haven’t experienced it, is fairly simple on the surface. Instead of dropping in as 100 individuals, the players are grouped together into two teams of 50. Each team is bussed in from opposite sides of the map and dropped somewhere along the way. In this mode, the final storm circle is visible from the very start of the game, and that circle is where all the best loot will drop throughout the match, encouraging teams to make their way there earlier on. Supply drops are every two minutes in batches and they will always land in the final circle. Floor loot and chests also work a little differently in 50v50. Floor loot is 15% more likely to spawn, and will spawn double ammo. Chests spawn double ammo and consumables. The extra loot helps keep things interesting as the teams showdown in the final storm circle. Last man standing takes the win for their team. This is a first for developer Epic Games, for they have never before run two events at the same time. This 50v50 event is running alongside the ongoing Avengers: Infinity War event that began earlier this week. That event, which allows players to find the infinity gauntlet and transform into Thanos, has been running for a few days and has already received some updates. Thanos’ energy beam is now a more powerful attack (up to 20 from 12), and punching damage has been increased as well (from 80 to 100). However, Thanos is now easier to kill, as his health was lowered from 800 to 500. Once Thanos is defeated, the gauntlet drops and goes to the player who vanquished him. “Our goal is to allow more folks to truly experience the power of Thanos, while also making you feel powerful when wielding the gauntlet,” developers said in a post on Reddit detailing the adjustments. The Infinity Gauntlet Mashup doesn’t have an announced end date, but the lifespan of these special events is normally about a week. Both events are going on now. You can read the full patch notes on Epic Games website.